Decorating for the holidays, like St Patrick’s Day, is always fun especially when a kids’ craft is involved. 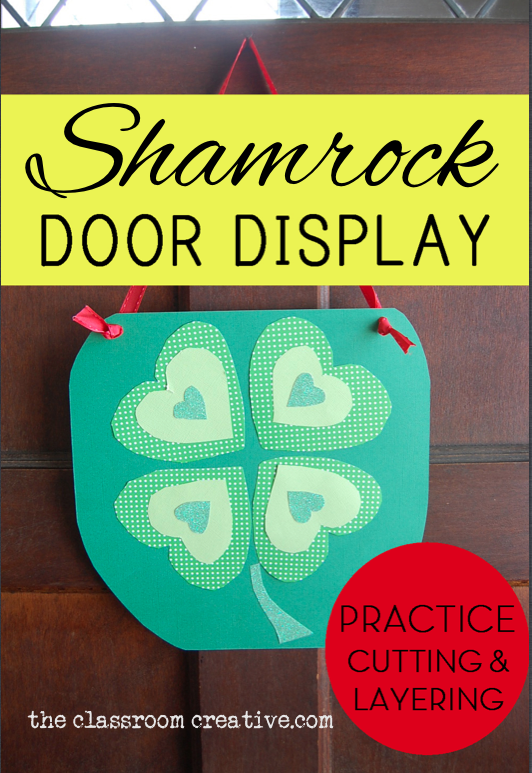 This shamrock door decorating craft, that is kid-friendly, includes cutting, sorting patterns, and layering. 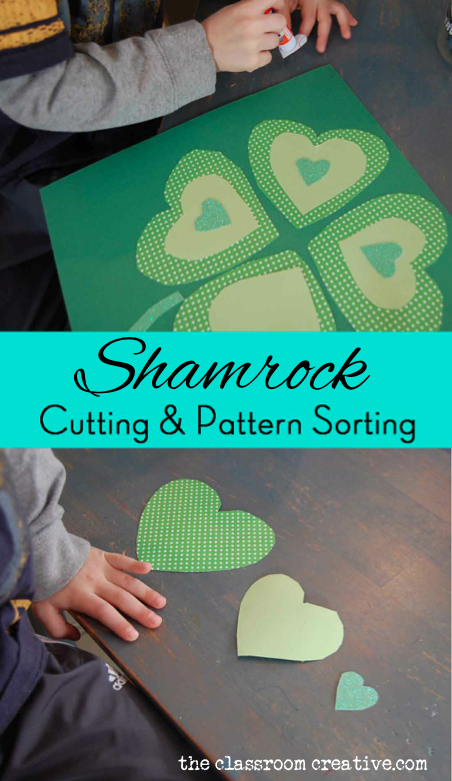 This activity practices the fine motor skill of cutting and sorting heart shapes by sizes or patterns to create a shamrock. Cut four squares in different sizes for a total of 12 pieces of paper squares. We used three different textured papers for each heart. Draw hearts on the backside of the textured paper squares. Sort by patterns. Or sort by size big, bigger, biggest or small, smaller, smallest (see second picture). Glue on large piece of green paper. Use string to hang it on the front door! This post may contain affiliate links to Amazon because I have a relationship with her. Whenever I need something, I simply place the item in her cart and she drops it off at my front door a couple days later. She's the greatest! I also like to link to our TpT shop. It's filled with a ton of innovative ways to help educate young minds. If you have time, check it out. It doesn't hurt to look.